This was a weird week because Cole was off, but Daddy wasn’t. Plus Mommy had evening obligations so a lot of day time excursions weren’t in the cards. 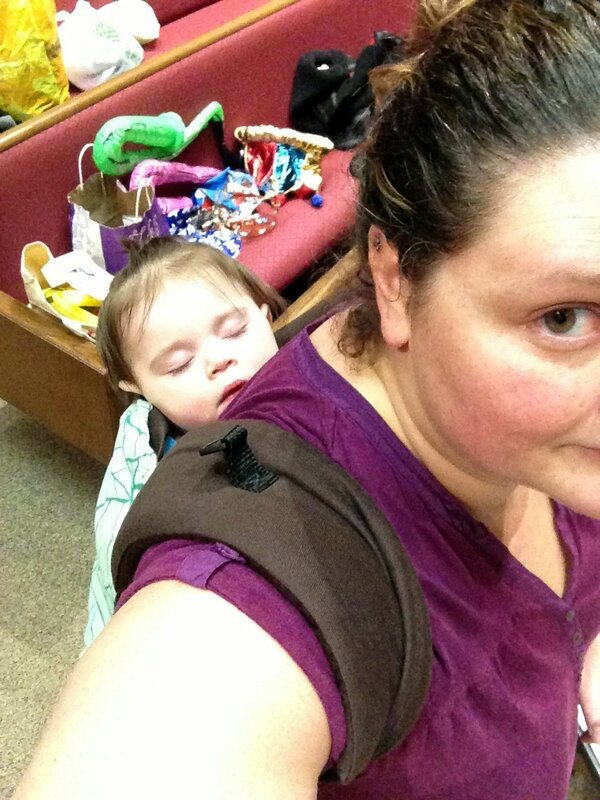 We did get to have a fun adventure on Monday, and Thursday was thoroughly exhausting, but I think we are all pretty glad that preschool is back in session this week! So yeah, this week? 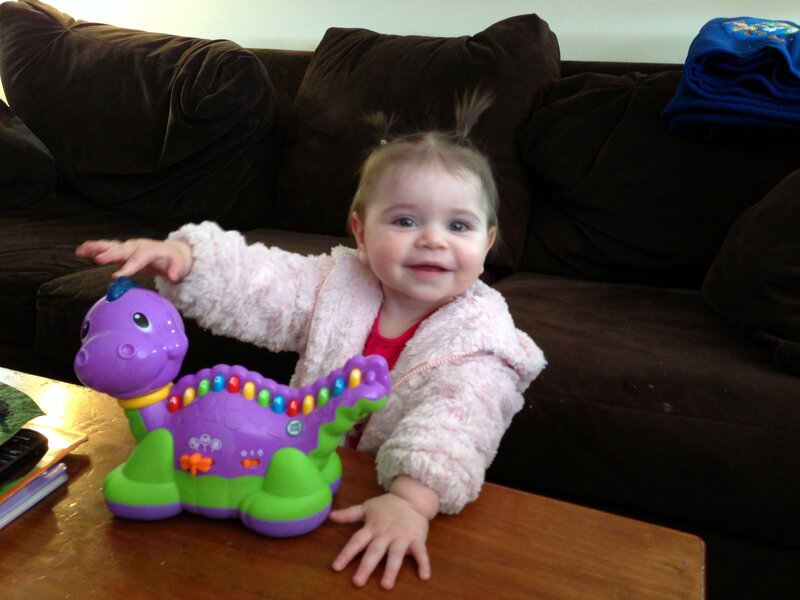 Pigtails happened. Cole said I looked like a moose. 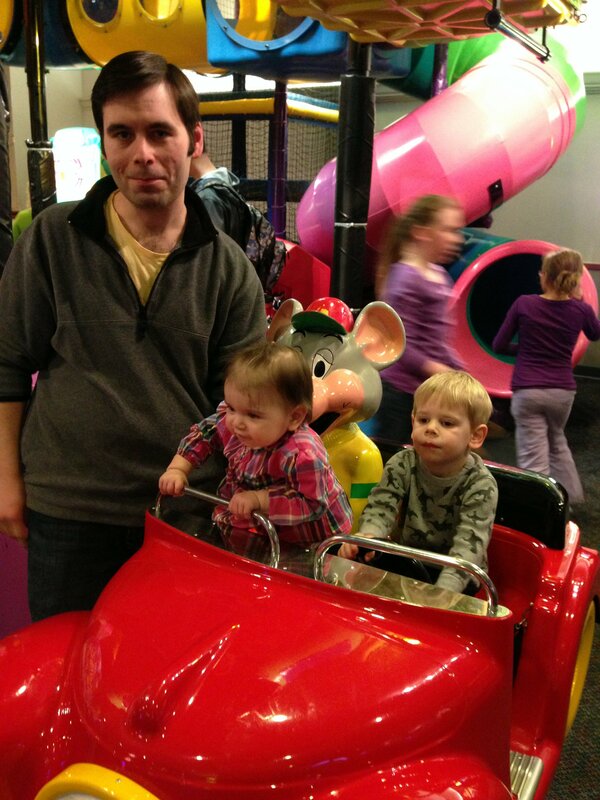 On Monday the stars aligned, and not only were Cole and Daddy both off from school, but Taylor (Max’s daddy) was, too. We all headed to Stepping Stones. Contrary to what it looks like in this picture, we were not the only ones with the Stepping Stones idea – I think every kid in Connecticut was there! In Tot Town, they have little costumes to dress up in. Mommy put me in the duck. 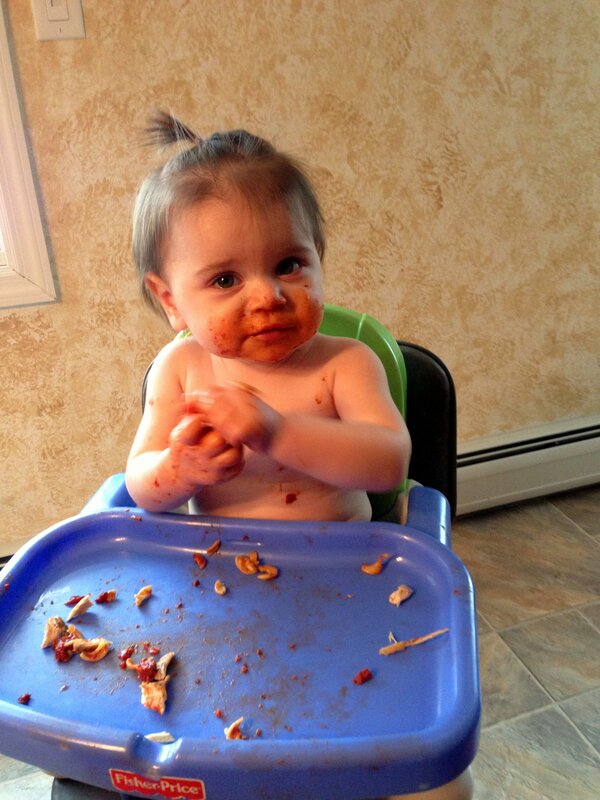 Are you dead from the cute yet? 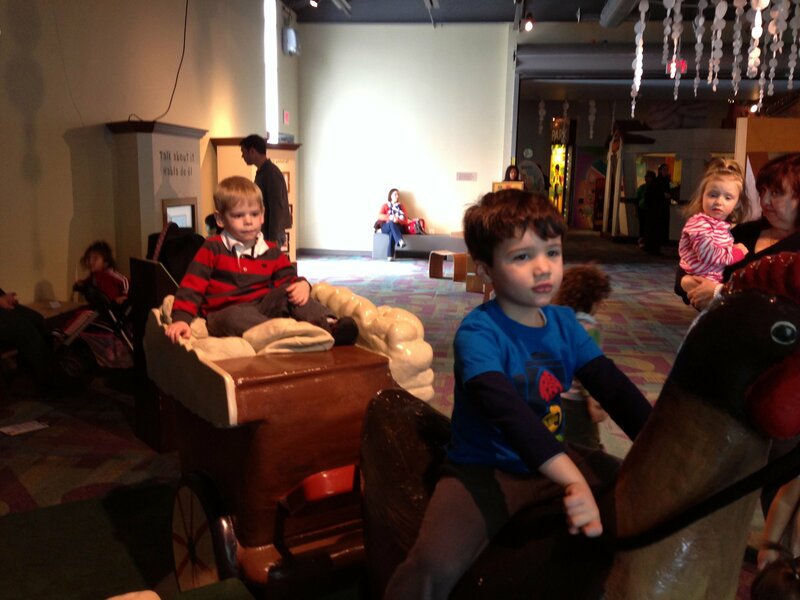 And then Max drove a rooster, while Cole rode in the cart in the back. 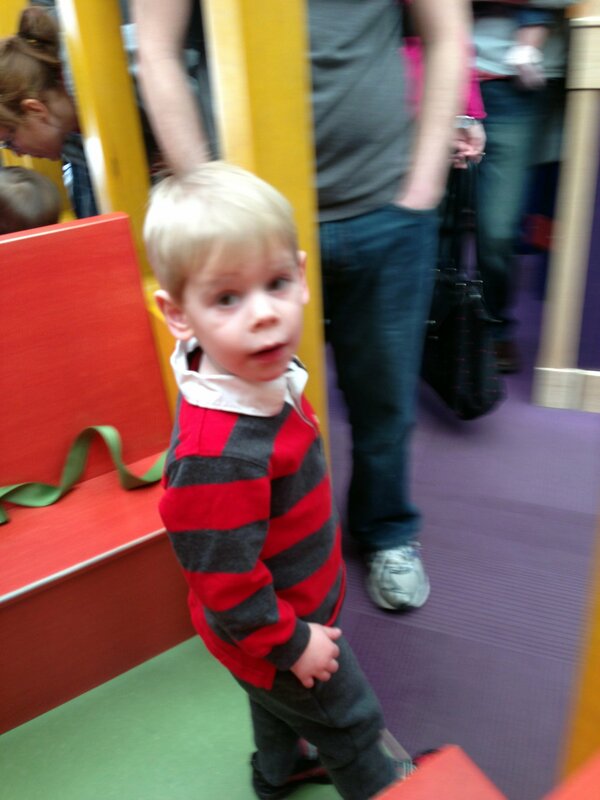 Mommy is not clear on what this exhibit was all about. 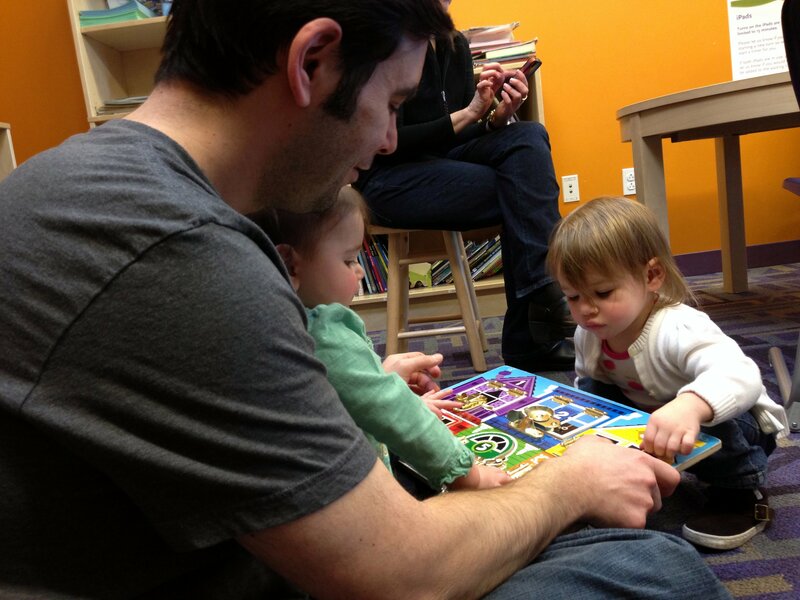 And Daddy helped me and Sarah do a puzzle. We all went to lunch at Burger Bar & Bistro, which was incredibly kid-friendly and delicious – HIGHLY recommend if you’re in the area. 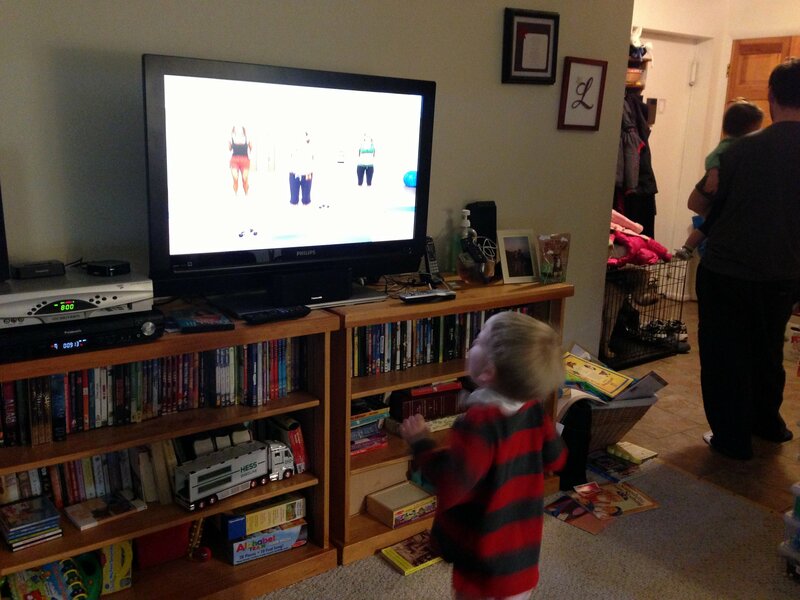 Cole had some extra energy before bedtime so he and Mommy did the 30 Day Shred. Or he did the shred and Mommy laid moaning on the floor after about 8 minutes. Cole was still running around and doing jumping jacks after the video was over! 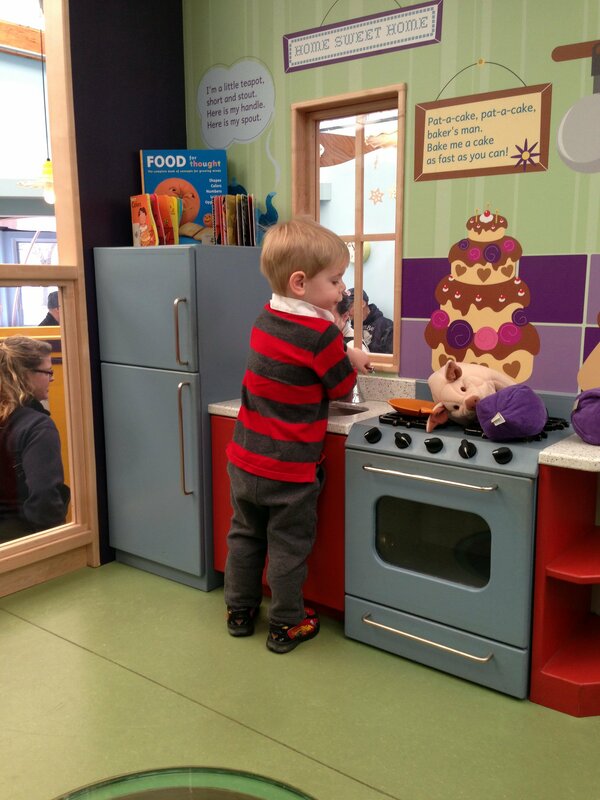 On Tuesday night, Mommy had rehearsal for the Purim Shpiel, so Cole went to play at one of her former student’s houses, and I got to hang out at temple! It wasn’t really as exciting as you might think. We spent practically all of Wednesday at home, in our jammies – it was a very lazy day. 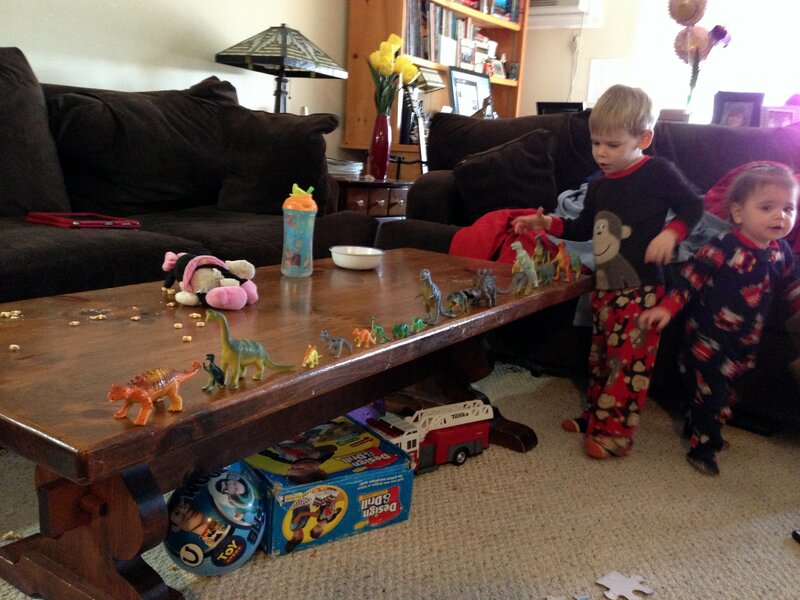 Cole made a parade of his dinosaurs – he told Mommy they were going into the city. 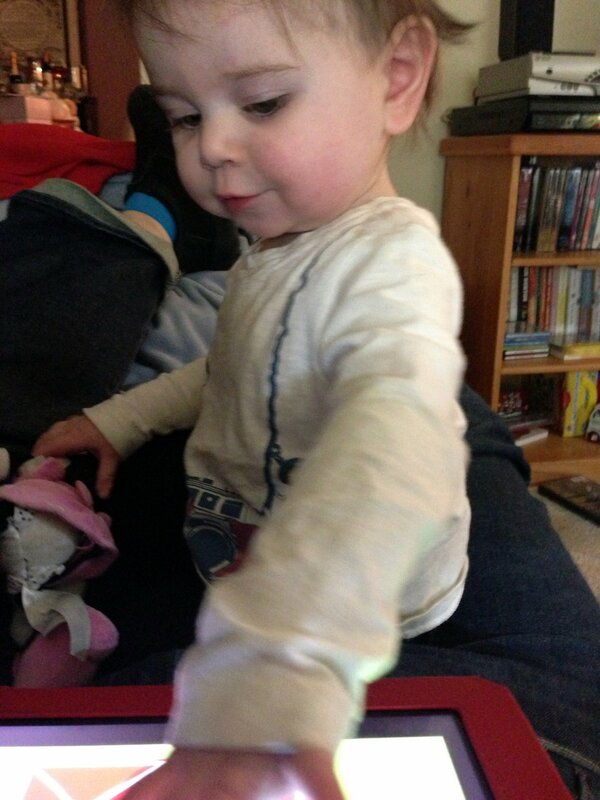 Thursday started bright and early – I played Peekaboo Barn on the iPad, while Mommy dozed on the couch. 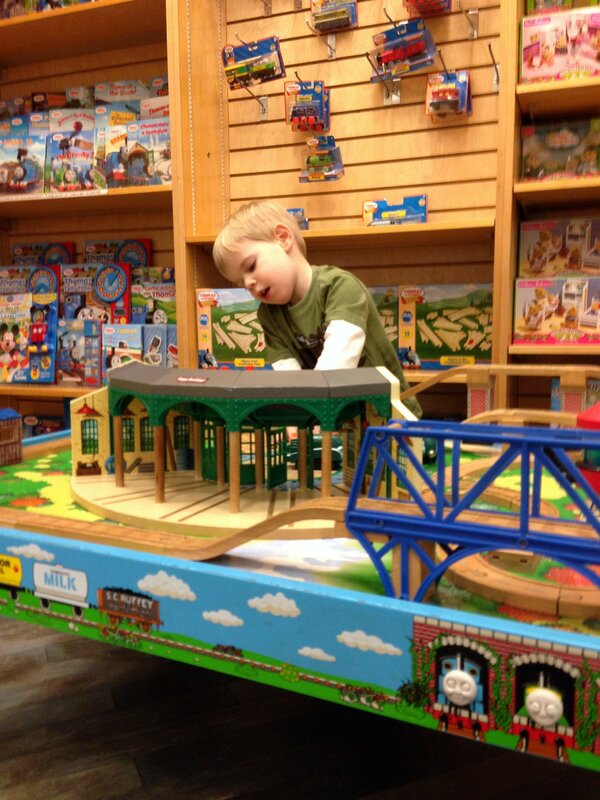 After our check-ups, we went to the mall, which of course involves visiting the train table at Barnes & Noble. 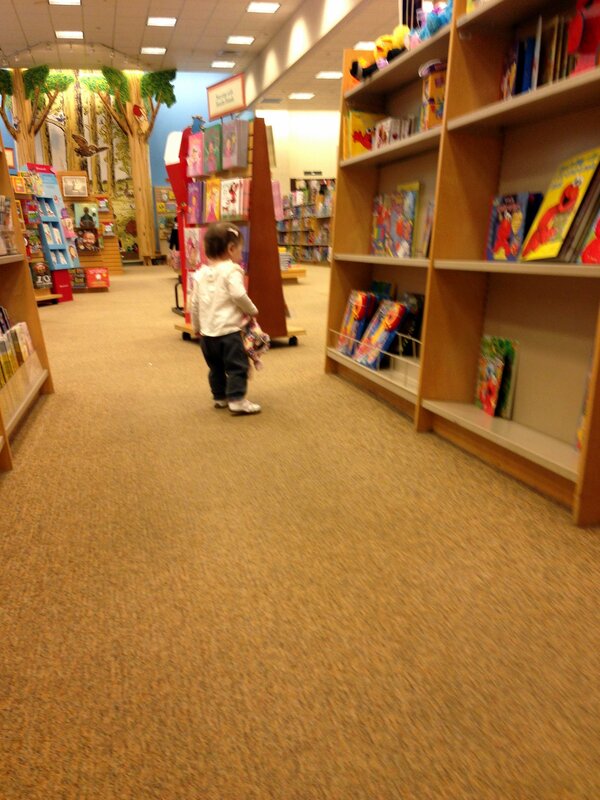 I was more interested in running the length of the store than in the train table. 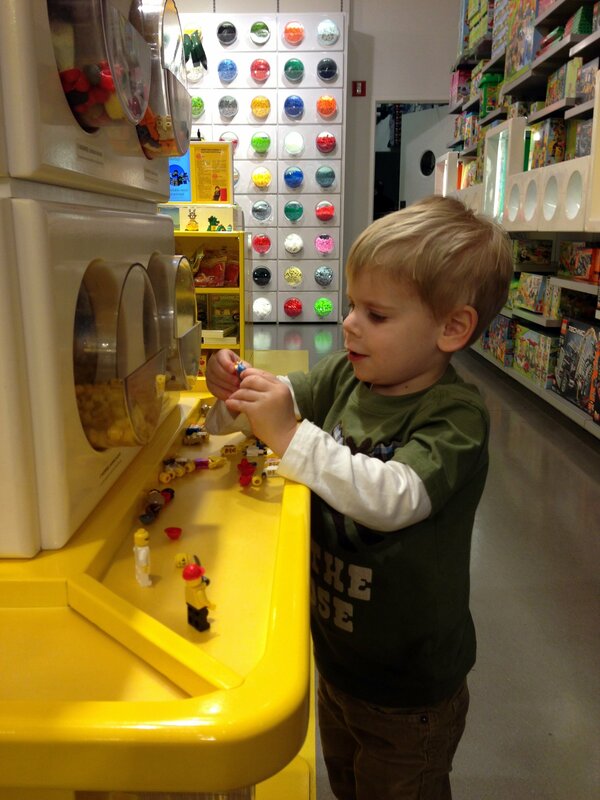 Cole got to play at the Lego store, too! After all of that excitement, I was pretty tuckered, and I *almost* took a couch nap. Mommy thinks I must be reading Suzanne’s blog! But wait, there’s more! Thursday was crazy long in hindsight. 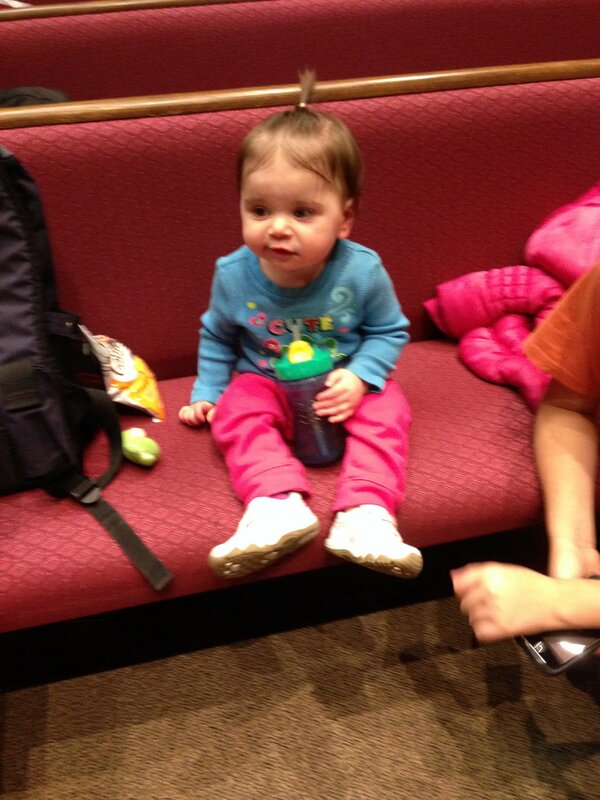 Daddy took Cole and me to a concert at the library and then dinner at Grandma’s house. 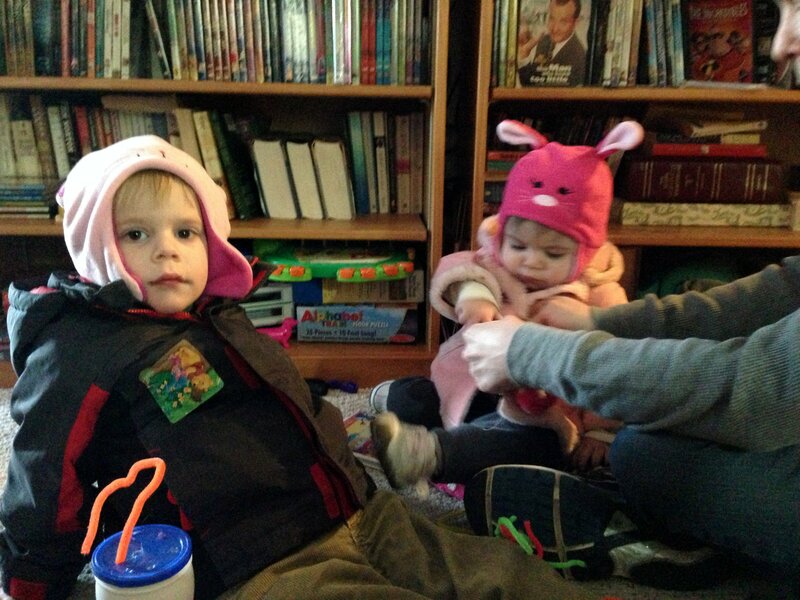 Matching pink bunny hats FTW! Mommy had dress rehearsal for her 80s themed show. Doesn’t she look totally awesome? 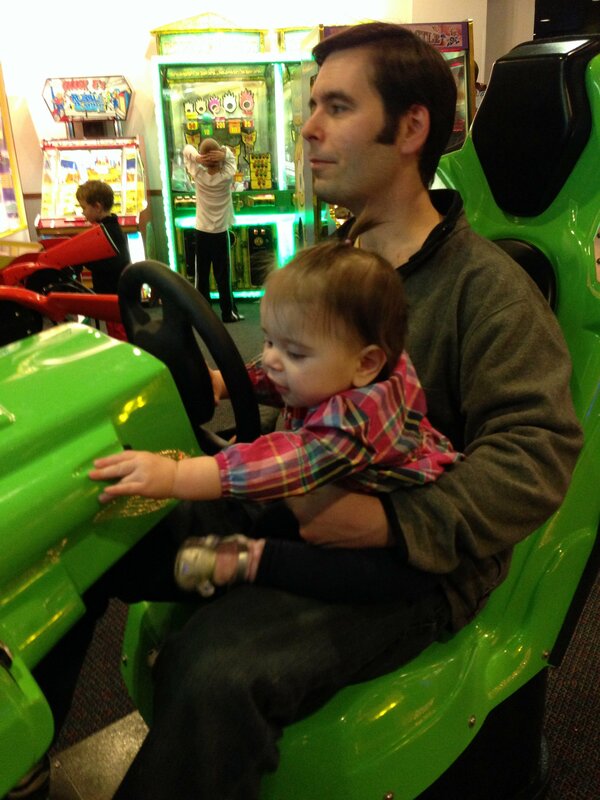 Friday was relatively uneventful, but then it picked up when Daddy said we could go to Chuck E. Cheese! I got to drive a car. 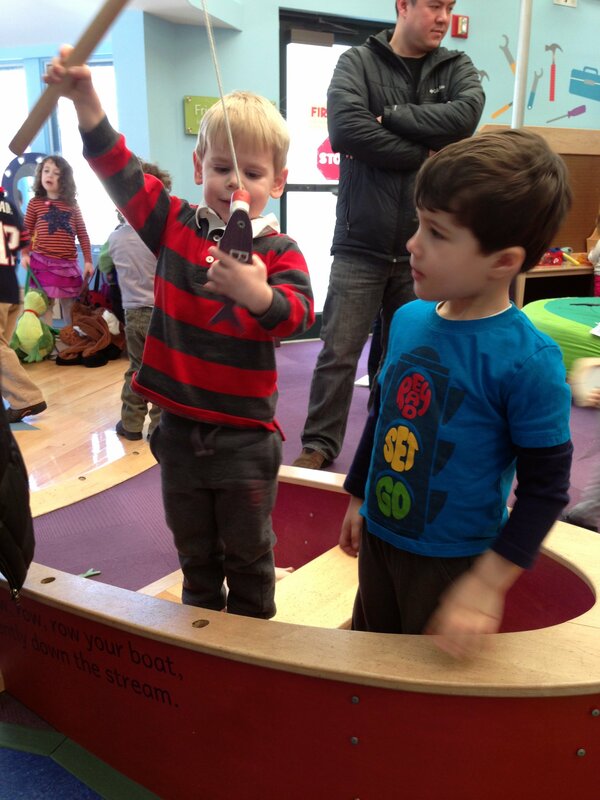 And Cole drove a rocket ship! 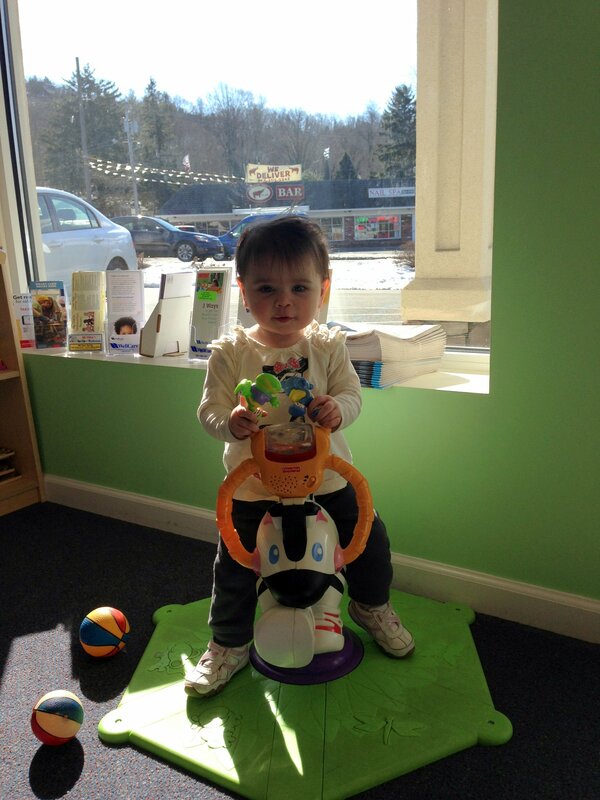 Saturday we went for our customary visit to Coach and Grammy Boo’s house – laundry day! 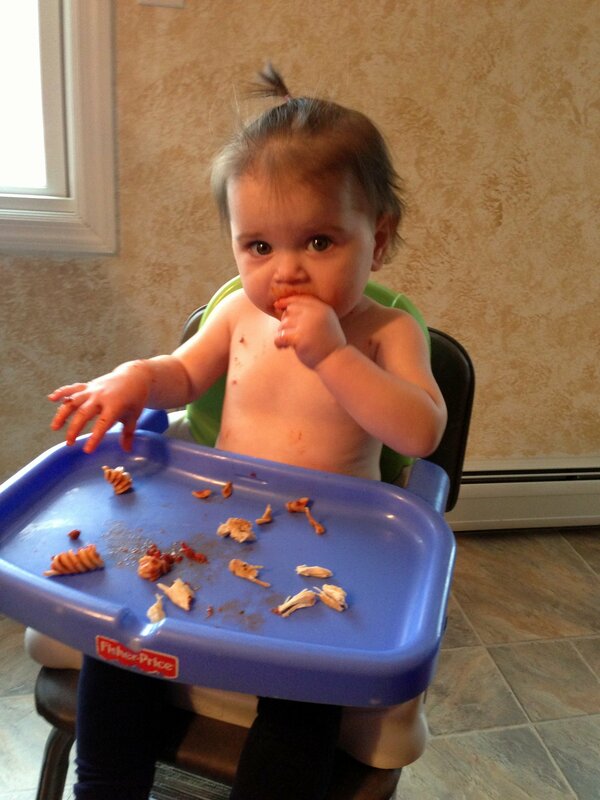 We had rigatoni for lunch, so Mommy thought it might be a good idea to take my shirt off. 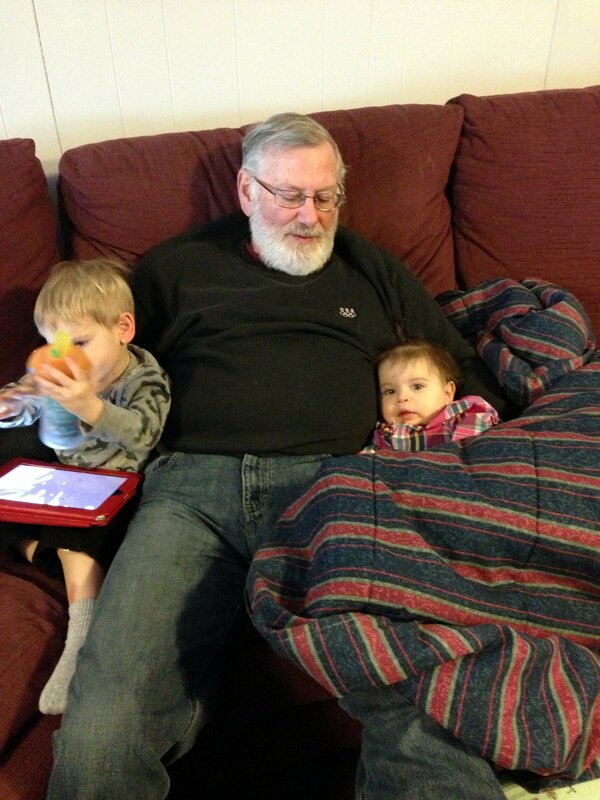 And we got in some snuggle time with Coach. 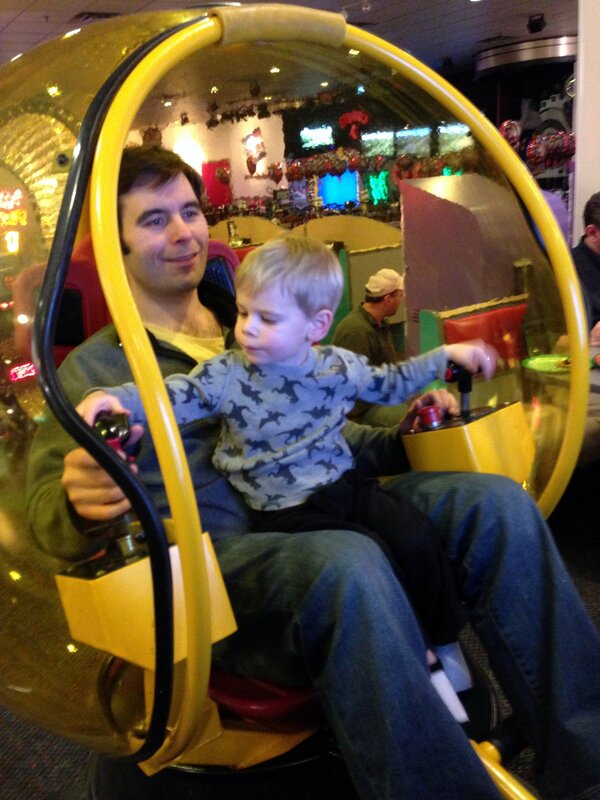 Cole insisted that Mommy take a picture of me driving his car, and then he wanted to be in it, too. 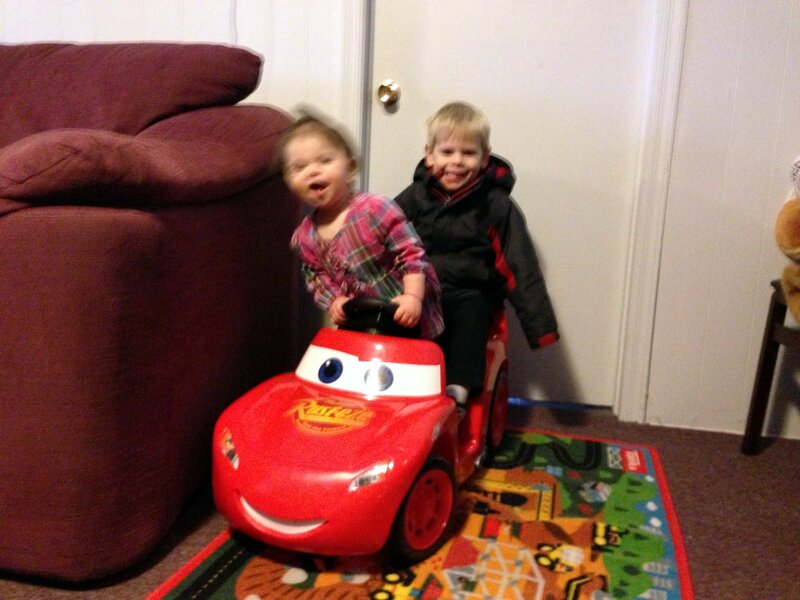 Unfortunately, neither one of us sits still for portraits, so this is the best of the blurry bunch Mommy took. 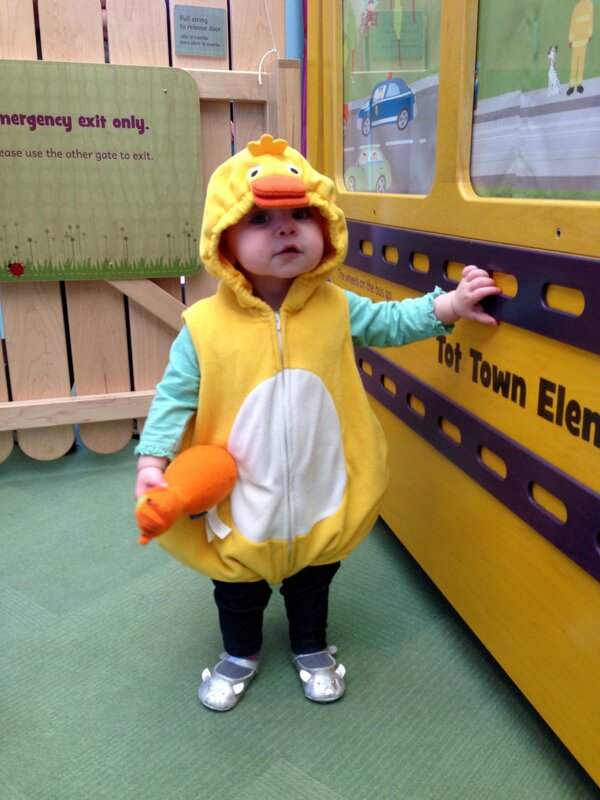 OMGOSH LULU YOU ARE THE CUTEST DUCKY EVER! And we love the piggies. Seeing your Sunday “week-in-photos” makes me miss my iphone soooooo much! I’m glad you guys had another good week! 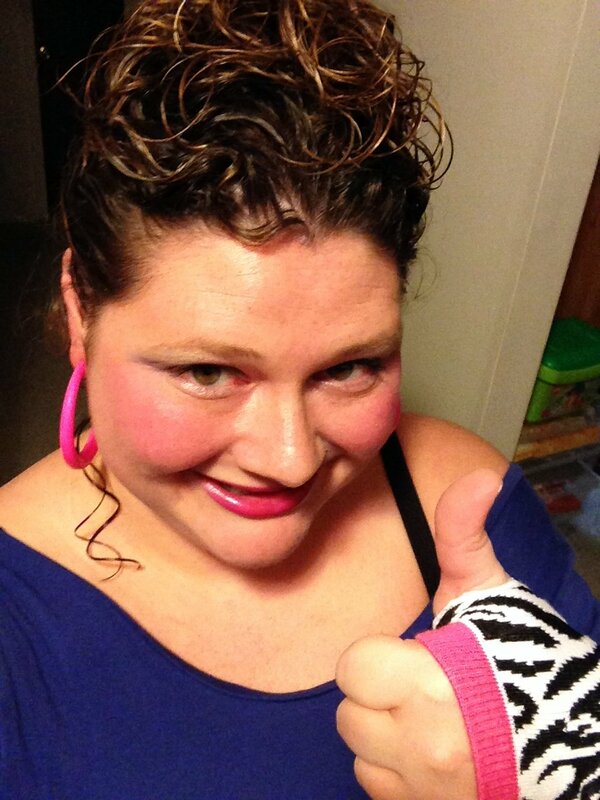 PS: S, you totally rocked that 80s look! Right?! 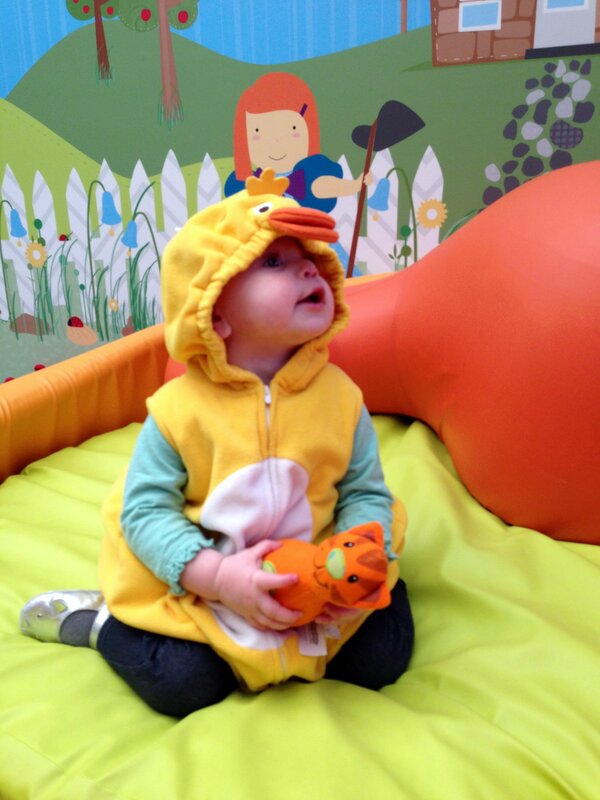 That duck killed me – I wish I could have taken the costume home with me and made her wear it every day. 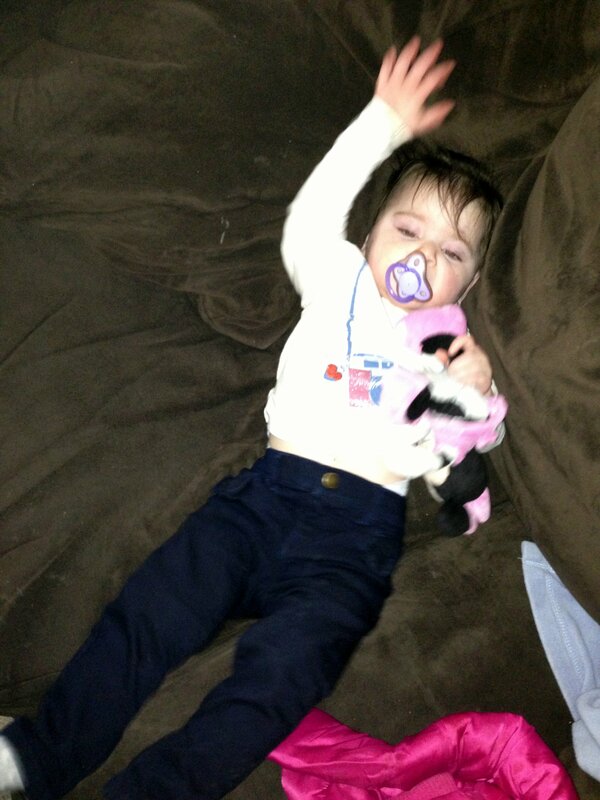 Yah for (almost) couch naps! 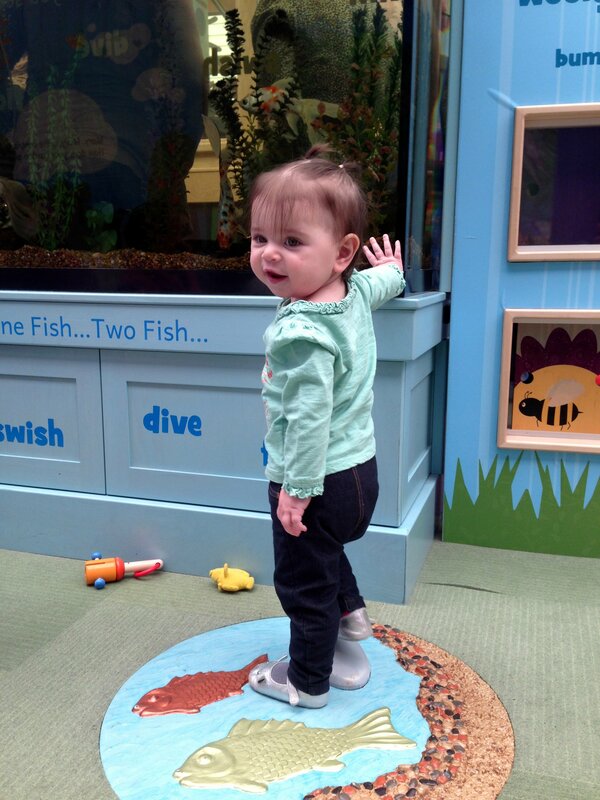 I’ve heard good things about Stepping Stones but it’s kind of far for us. I LOL’d at the rooster pulling the cart though. Thanks! You are the 4th person this week to tell me how much they like the weekly recaps, so I guess we’ll keep them up! Re: Wednesday: the dinosaur big city like on Dinosaur Train??? 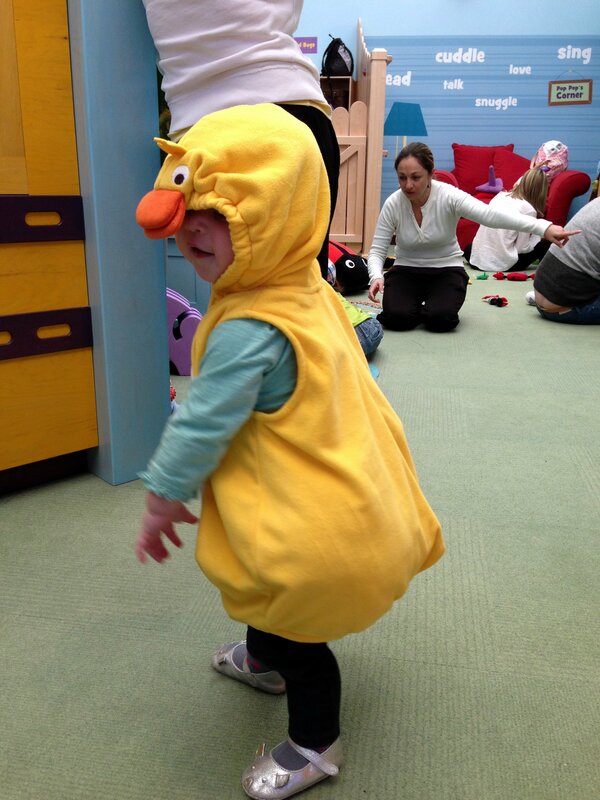 Also duck costume? So dead.